As disappointing as it can be to tear into a bag of Lay’s to find empty air where your afternoon snack should be, that extra space in the package is there for a reason. “Slack fill” is an intentional choice by snack makers who want to protect their delicate products from the damage of rough handling during the shipping process. When products are stacked atop one another, crammed into tight spaces, or simply jostled around in the back of a delivery truck, slack fill serves as an air cushion that prevents potato chips from becoming potato crumbs. That’s not just any ordinary air puffing up potato chip bags, either: It’s nitrogen. Oxygen can cause the potatoes to spoil and the oil to go rancid, and the humidity found in ambient air makes the chips go soggy. Instead, packages are filled with nitrogen gas to help the snacks stay fresh, which a trained panel of tasters confirmed in a 1994 food science study. Nitrogen flushing isn’t harmful in any way, since about 78 percent of the air we breathe is composed of nitrogen already. However, that doesn’t excuse the sheer proportion of space that gas occupies in a bag that’s supposed to be filled with food. 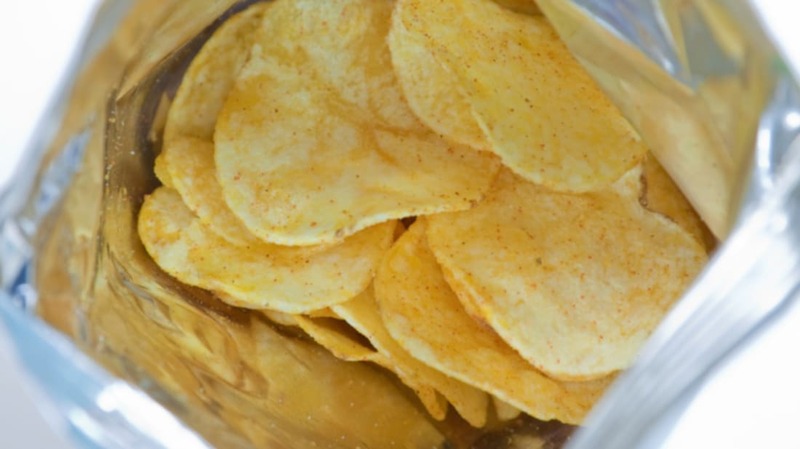 Although the federal Fair Packaging and Labeling Act passed in 1966 required manufacturers to clearly indicate the net weight of their product’s contents to prevent customers from being duped by huge-seeming containers on the shelves (new and improved potato chips, now with 50 percent more air! ), the regulations are rarely enforced. Humans are terrible at accurately perceiving size, and even the most discerning shoppers will automatically assume that larger packaging means more product if they don’t look too closely at the label. So while some extra space in a bag can help keep potato chips fresh and intact, any more than necessary might be the company trying to pull a fast one over us.